Let's get this out of the way up front: Angelina Jolie is a world-class actress. With film credits that include roles in "The Bone Collector," "Mr. & Mrs. Smith," "Changeling" and "Maleficent," plus an Oscar turn in "Girl, Interrupted," her acting bona fides are not to be disputed. That said, Jolie's 2001 "Lara Croft: Tomb Raider" and 2003 sequel "Lara Croft: Tomb Raider — The Cradle of Life," were both God-awful and a woeful waste of her considerable talents. Both films failed in almost every measure unless you were the target audience for the video game-turned-movie: 13-year-olds in hormonal overdrive. The 2018 reboot starring Alicia Vikander is not that. Vikander, who first became a fan favorite with a star turn in 2014's "Ex Machina," boasts Academy Awards credentials of her own, winning Best Supporting Actress for 2016's "The Danish Girl." Fans of "Ex Machina" may have feared Vikander would turn her attention to only serious fare after winning the Oscar, but with turns in 2016's "Jason Bourne" and then signing on to lead the Tomb Raider reboot, it became apparent Vikander was more than game to have a little fun. The question was could even she resuscitate the franchise from its very cheesy origins? For the uninitiated, a recap: Lara Croft is the daughter of an eccentric adventurer who vanishes when she is teen. Years later Croft is pressed to have her father declared legally dead so she can take control of her family's global empire. It's a task she resists and ultimately rejects when she comes upon a clue that may lead to his whereabouts. "When we meet her in the beginning of the film, seven or so years have passed since she last saw her dad," Vikander says. "But she is someone who hasn't been able to mourn, someone who can't really let go. Not without answers." The story is touted as an origin tale. And indeed when we're introduced to Croft she's far from a female Indiana Jones. The very first scene sees her gasping for breath in a chokehold, reluctantly tapping out during a sparring skirmish against an MMA fighter. But it's not long before we see Croft morph from East London bike courier to globetrotting daredevil as her search takes her to uncharted destinations across the globe. The film contains all the set action pieces you'd expect, and they work well. 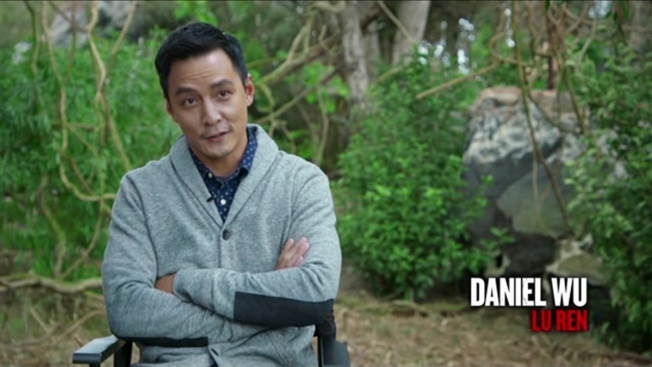 They work all the better given Vikander's muscular yet still delicate frame. She's no indestructible Amazon but a three-dimensional character who gets bruised, injured and bleeds. "What's interesting to me about Lara Croft is that when she falls, she gets hurt, but she picks herself up and keeps fighting for what she wants," said director Roar Uthaug. "In our film, that goes whether she's in the boxing ring, a bike race, or a race for her life." The landscape for female-driven action vehicles has changed dramatically in 15 years since Jolie's Croft last graced the silver screen. In that time we've seen Jennifer Lawrence's Katniss Everdeen in the Hunger Games franchise, Charlize Theron as the "Atomic Blonde," Kate Beckinsale in the "Underworld" series, and of course Gal Gadot in the 2017 game-changing "Wonder Woman." Those films did not reinvent the wheel. Cinema is littered with strong female action heroes from Linda Hamilton's Sarah Conner in the "Terminator" franchise to Sigourney Weaver's Ripley in "Aliens". Even on the small screen we've seen everything from Sarah Michelle Gellar's "Buffy the Vampire Slayer" to Krysten Ritter's "Jessica Jones." 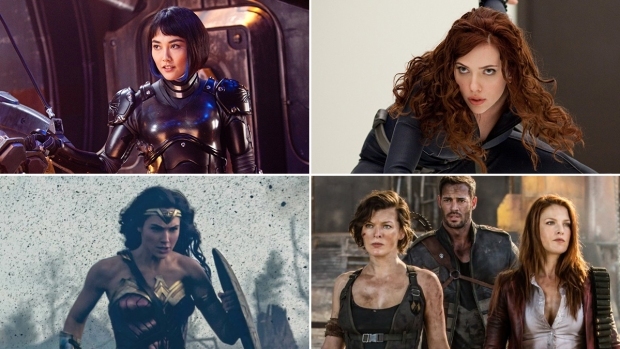 Those films showed you could build big-budget blockbusters around female protagonists. Vikander's "Tomb Raider" is built in a similar winning mold. It's also 2018 and we're in the midst of the #MeToo and Time's Up era. How films with female stars are both crafted and perceived are now reflected through that prism. The box office success of films like "Wonder Woman" and "Tomb Raider" will go a long way to making sure female-driven action blockbusters are more the norm than the exception. "Tomb Raider" hits theaters March 16th.